I am no crochet expert, so when I get a legit project done, I get pretty excited!! 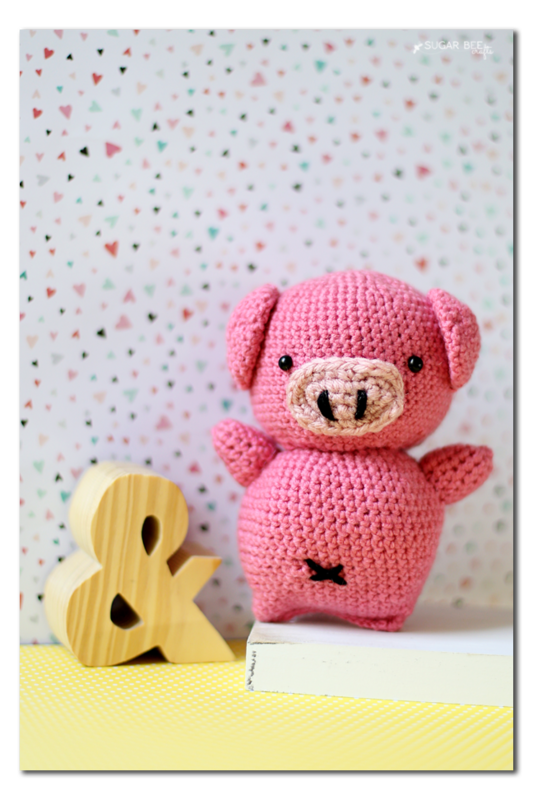 So of course I have to show you what I just finished, a Crochet Pig Amigurumi, in all it’s cuteness! I love knocking out couch-crafting during the Olympics, and this year was no exception – this is just one of the projects I was able to start and actually complete! 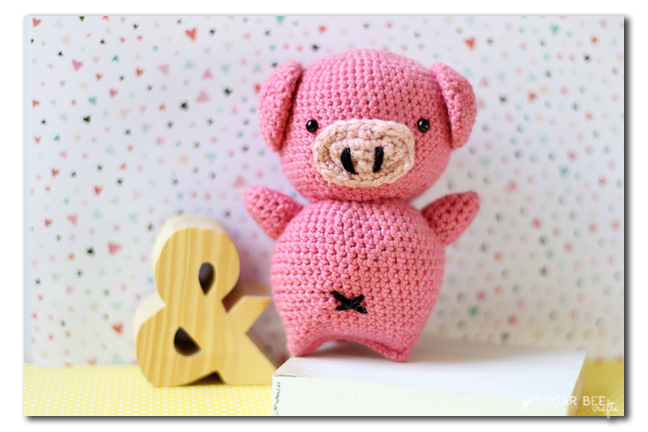 You might remember this piggy from my Animal Crochet Patterns round-up – there are seriously so many crochet animals on my to-make list! 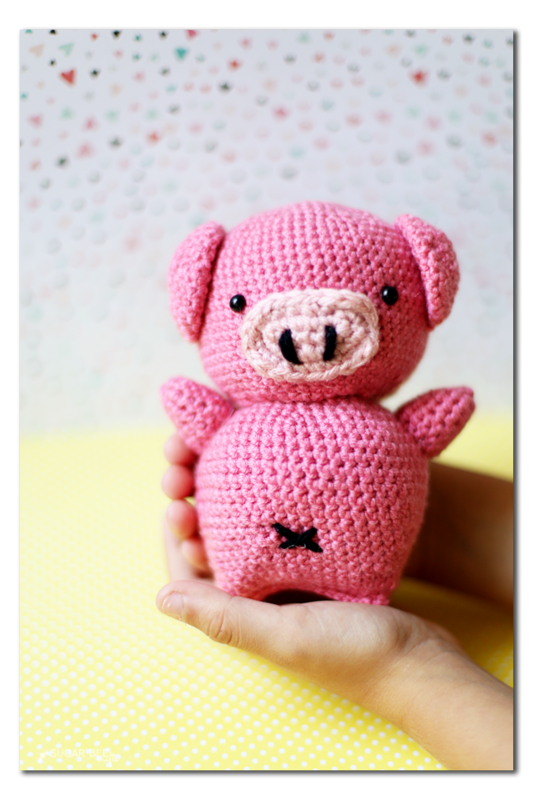 I started with the pig because a friend loves pigs, and her birthday happened to be coming up, so perfect. 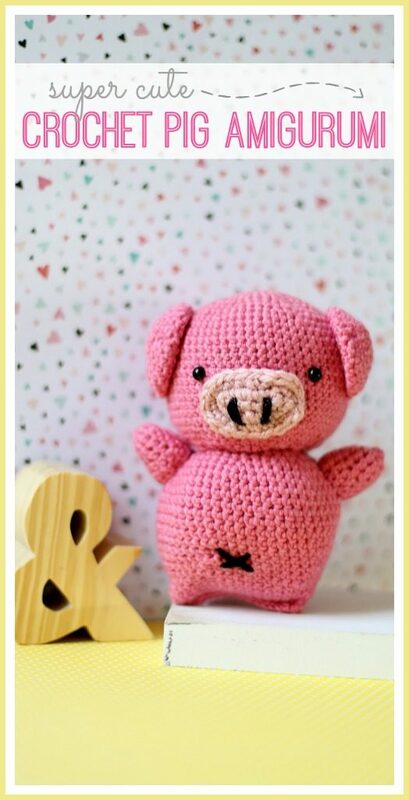 I thought the pattern was pretty doable for a mid-skilled crocheter. Mine isn’t near as perfect as hers, but I still think it came out pretty good! Looking at them side-by-side, I probably should have used thinner black yarn for the details – oh well! I got a little mixed up on the nose but was able to just make it work. 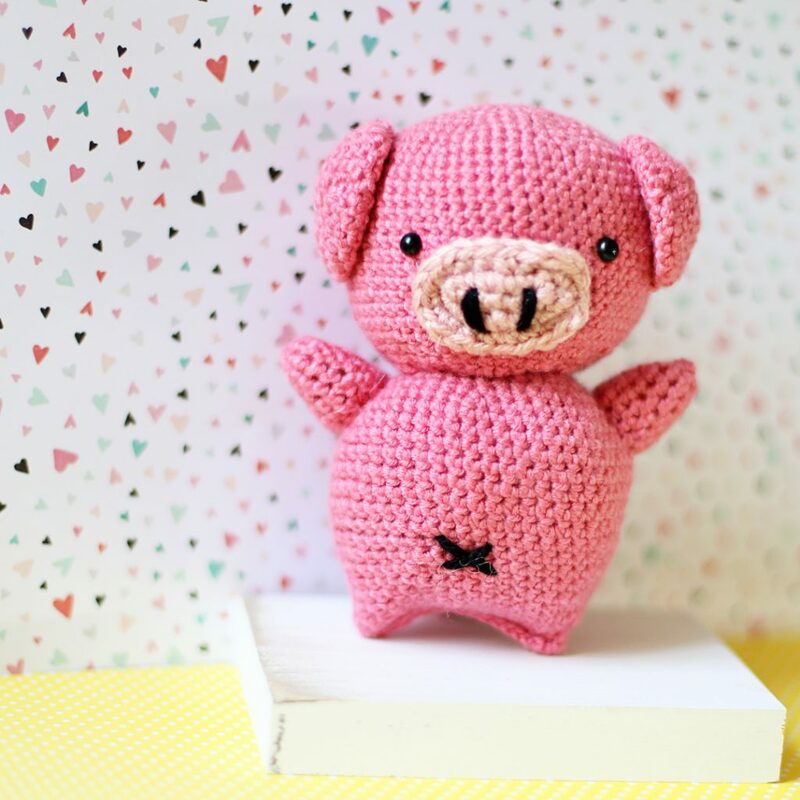 Whenever I made amigurumi, I always think it’s going to be tiny. I mean, it’s small, but not teeny-tiny. Here’s my 2nd grader holding the stuffed animal pig to give you a reference – it’s a good size! Maybe about the size of a beanie boo or so. 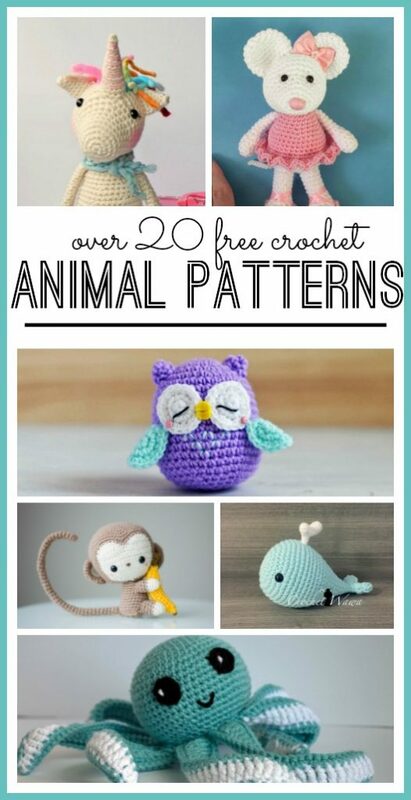 If you’ve given a few simple patterns of crochet a try, you can totally do this! 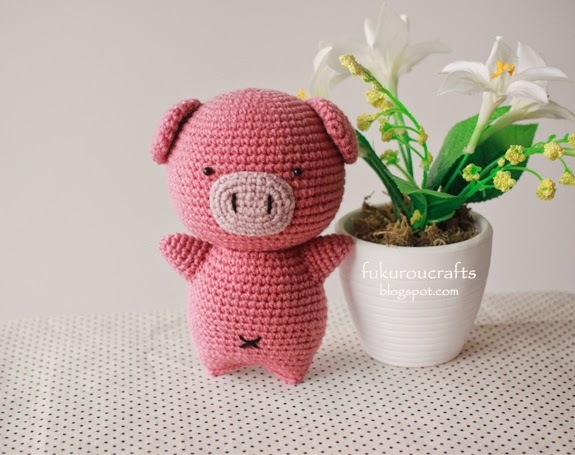 Have fun making a Crochet Pig Amigurumi! 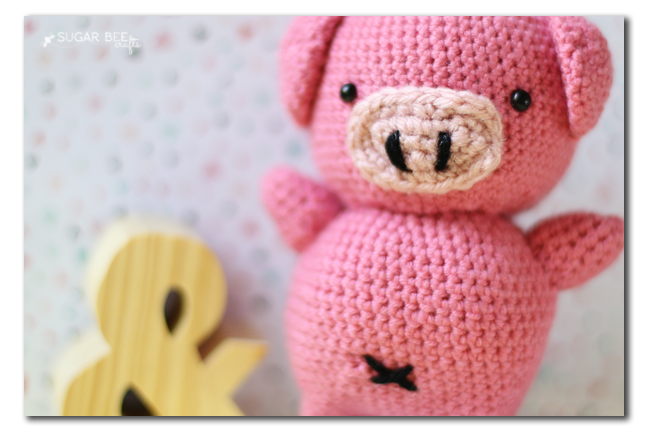 And be sure to check out the tons of other stuffed crochet animals you can make!